make / pocket full of posies...and money! Pocket Full of Posies...And Money! This little flower pot holds more than posies...pull up on the flowers and you've got a nifty little hiding spot for a gift card. 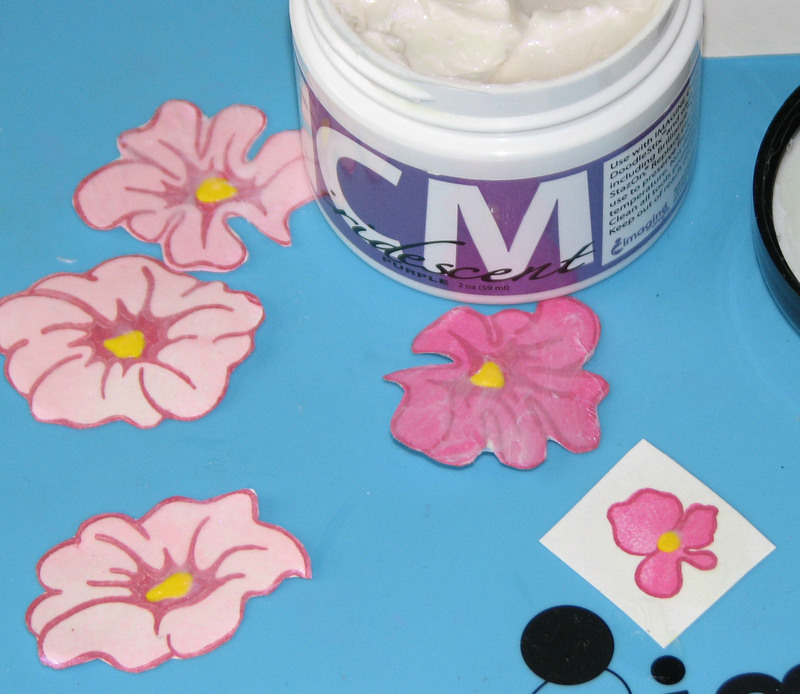 I've included the template for the flower pot in the tutorial for easy assemblages. Happy crafting! 1. 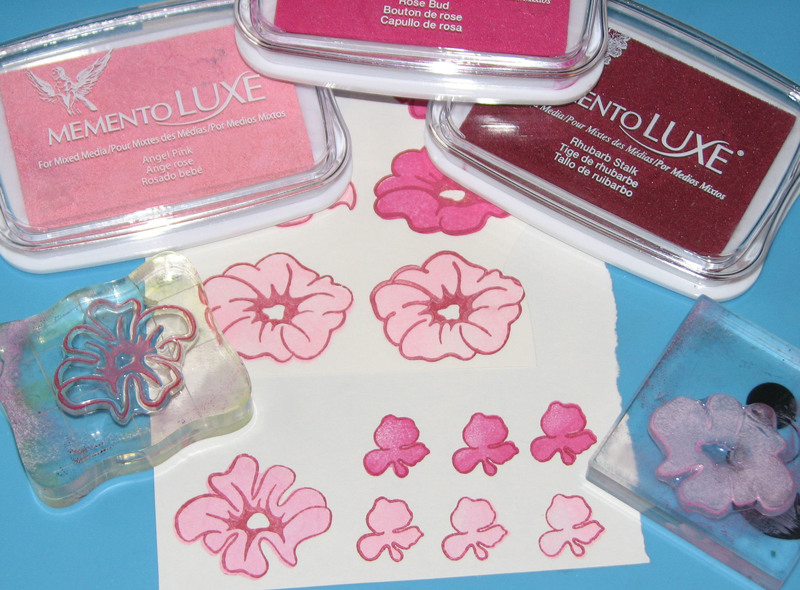 Stamp several flowers on white cardstock using Memento Luxe Inks. Two step flower images were used for this example. To add variety, the flower centers were stamped using Angel Pink and Rose Bud, while the outlines were stamped with Rhubarb Stalk. 2. 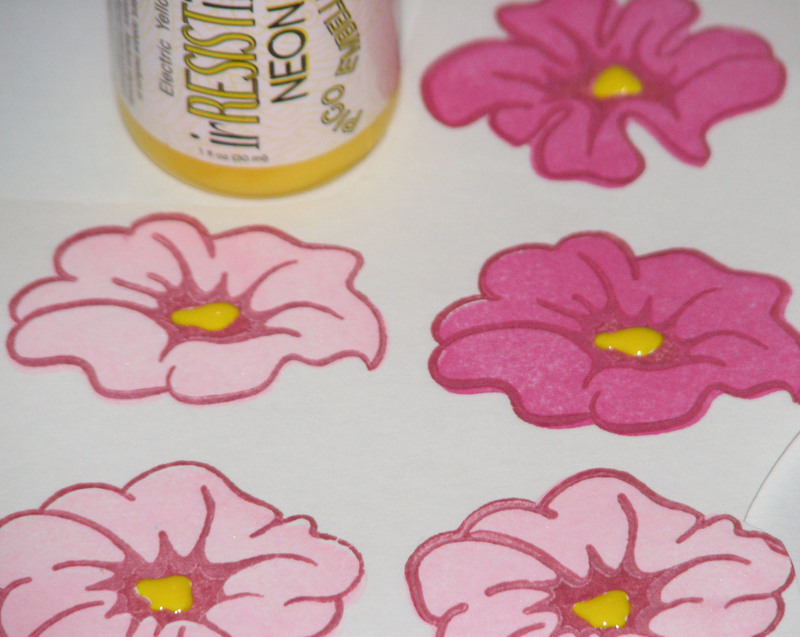 Electric Yellow irRESISTible Pico Embellisher was used to create the centers for each flower. 3. 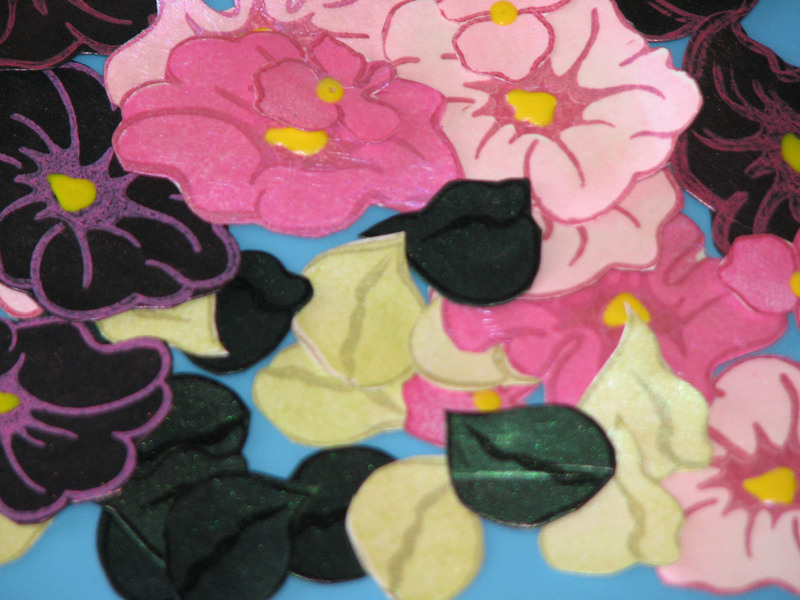 After the flowers were trimmed from the cardstock a thin layer of Purple Iridescent Creative Medium was added to the petals of each flower and set aside to dry. 4. For contrast a sheet of black cardstock was covered with an even layer of Pink Iridescent Creative Medium using the Trowel Palette Knife. 5. Stamp only the flower outline using Memento Luxe Rhubarb Stalk on the Pink Creative Medium covered paper. Heat to set the ink and trim. Add the Electric Yellow irRESISTible Pico Embellisher to the centers. 6. Stamp two step leaves on white cardstock using Pear Tart and Pistachio Memento Luxe inks and cover with a layer of Chartreuse Iridescent Creative Medium. 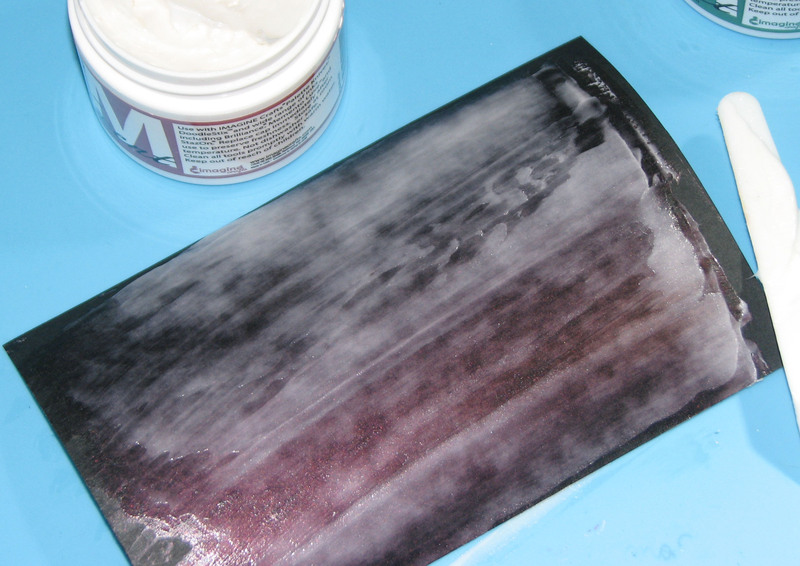 Trim from the paper when dry. 7. Spread a layer of Green Iridescent Creative Medium on a scrap of black cardstock. Stamp leaf outline using Olive Grove Memento Luxe ink and trim. 8. 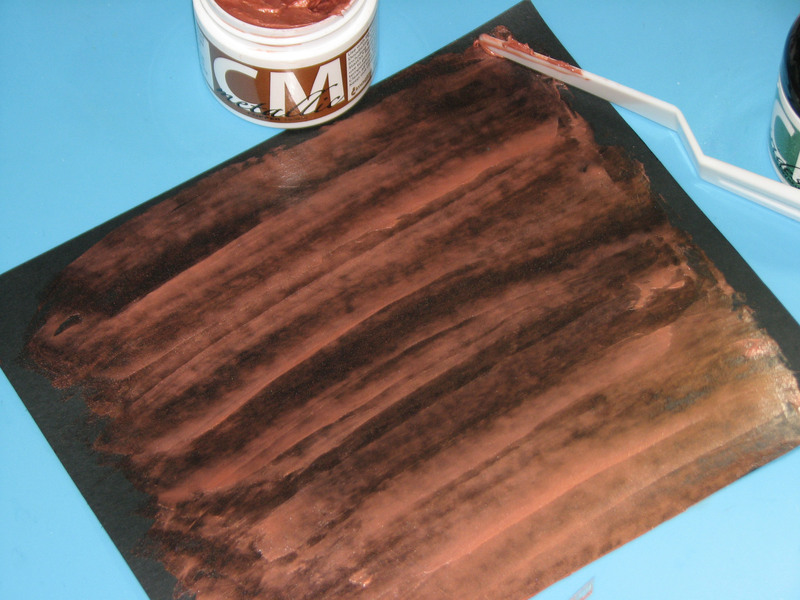 Use a Trowel Palette Knife to spread a layer of Copper Creative Medium over an 8.5 x 11" sheet of black cardstock and let dry. 9. Print Flower Pot Template onto white cardstock and trim. 10. 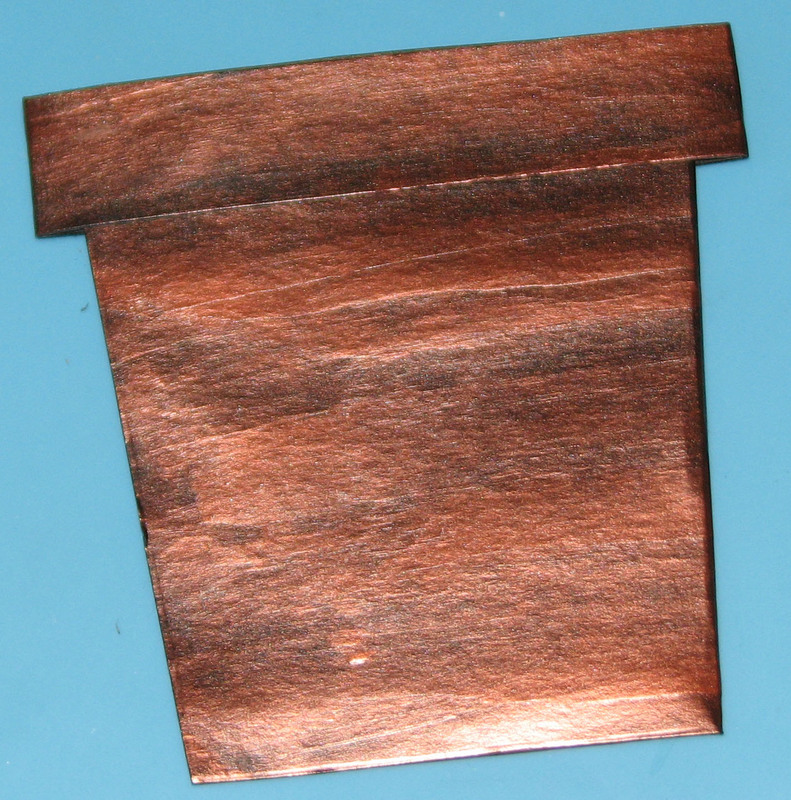 Trace template onto the Copper CM cardstock; trim. 11. 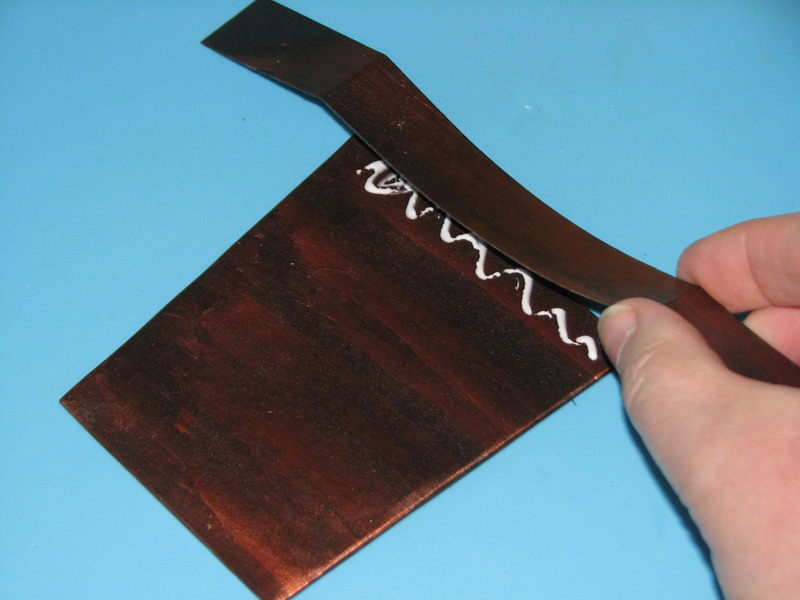 Cut a 3/4" x 8.5" strip from the excess Copper painted cardstock. 12. 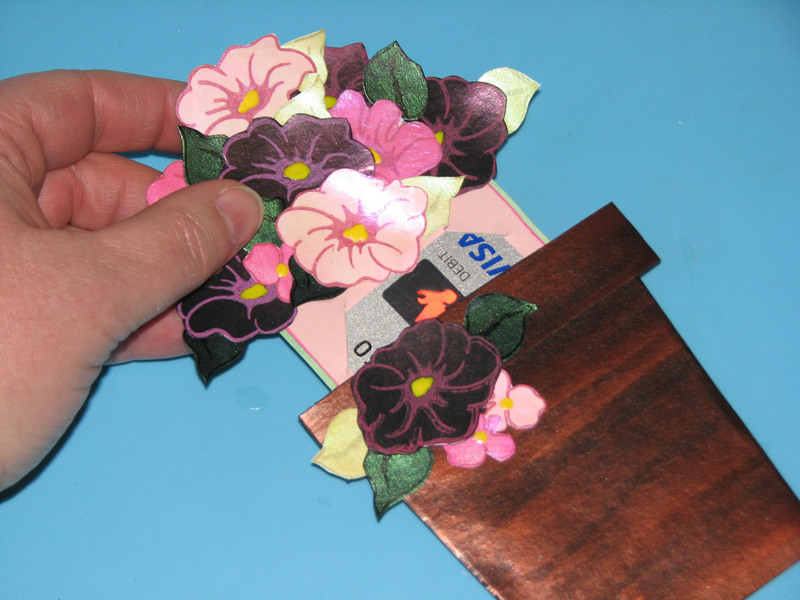 Crease the flaps; apply adhesive to each flap and fold to assemble to turn into a flower pot pocket. 13. 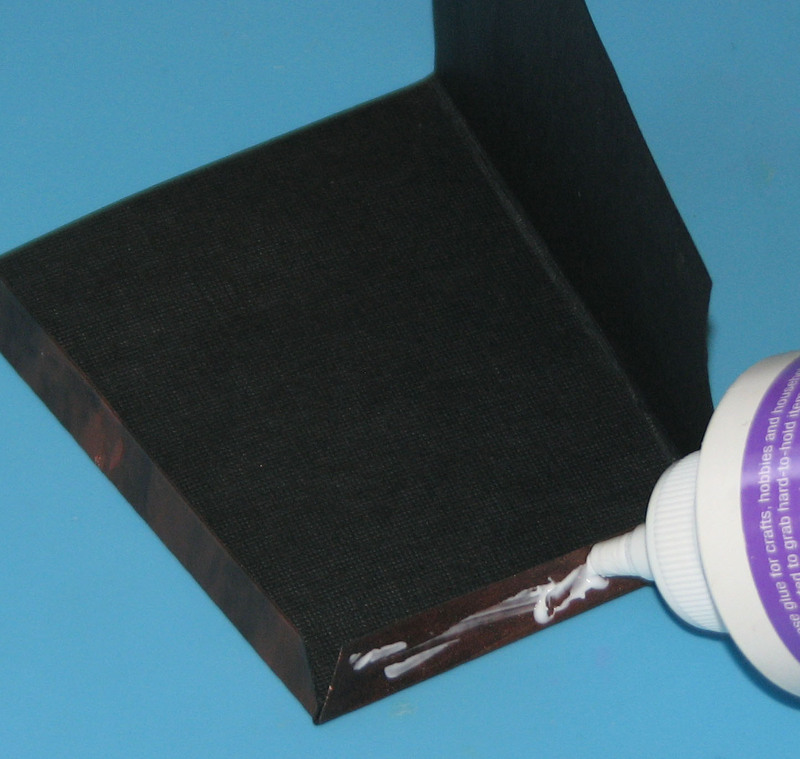 Glue the 3/4" strip to the top of the pocket; fold a quarter of an inch past the top of the flower pot creating a lip and wrap the excess around the back of the pocket and secure. You now have a flower pot pocket. 14. 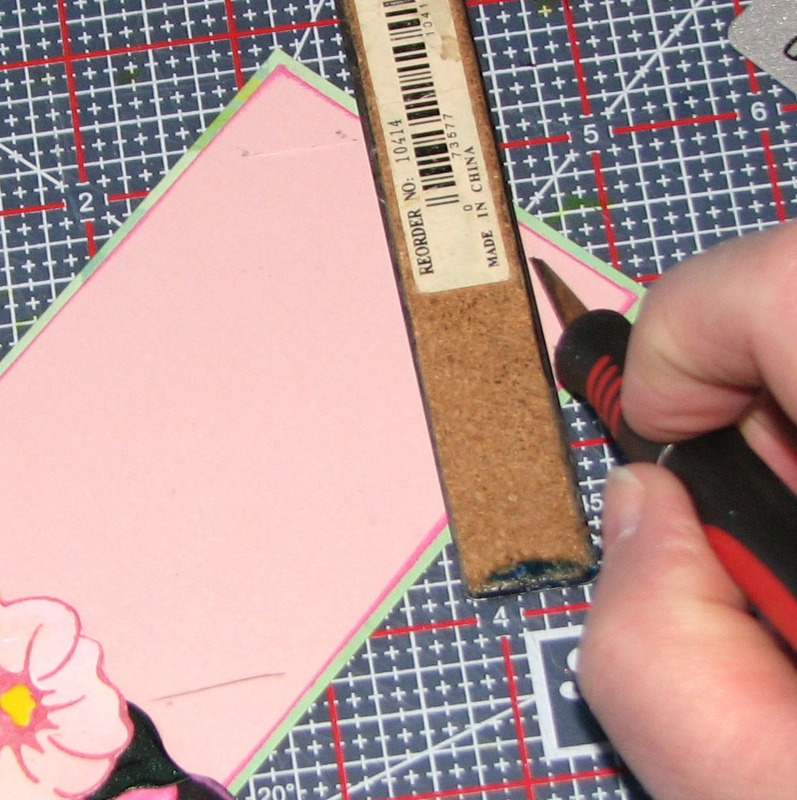 Cut a 2.75" x 5.5" piece of green cardstock and a 2 5/8" x 5 3/8" piece of pink cardstock; affix the pink strip to the green strip of cardstock. 15. 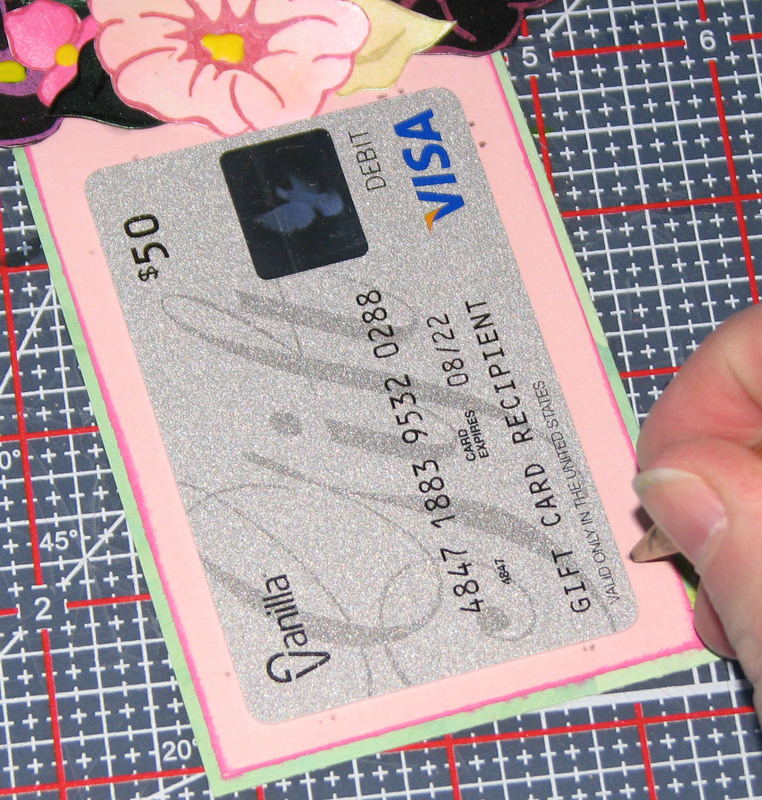 Slide the card into the flower pot and use a pencil to make a mark where the top of the flower pot is on the card. 16. 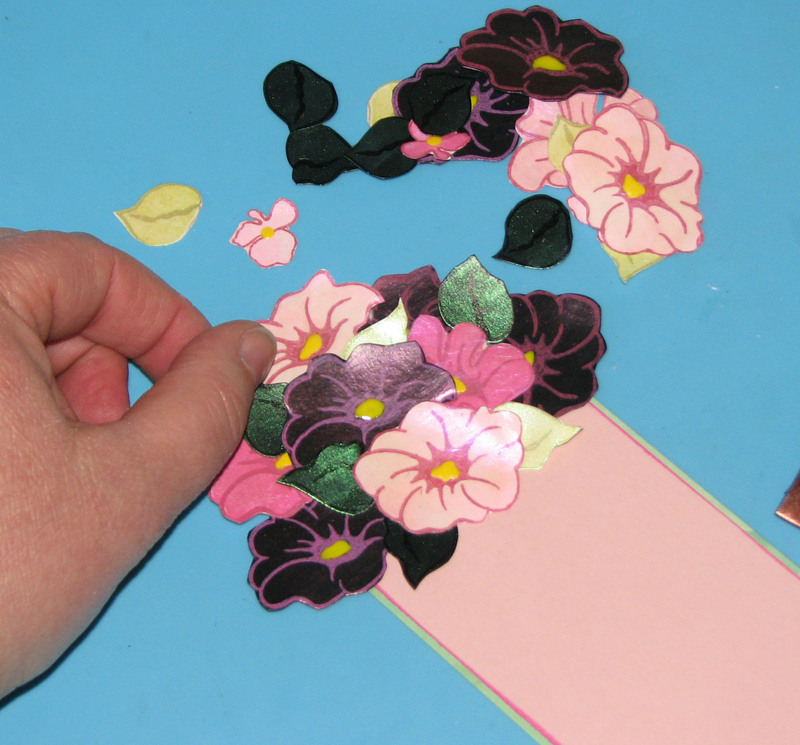 Add flowers and leaves in desired formation above the pencil mark. 17. 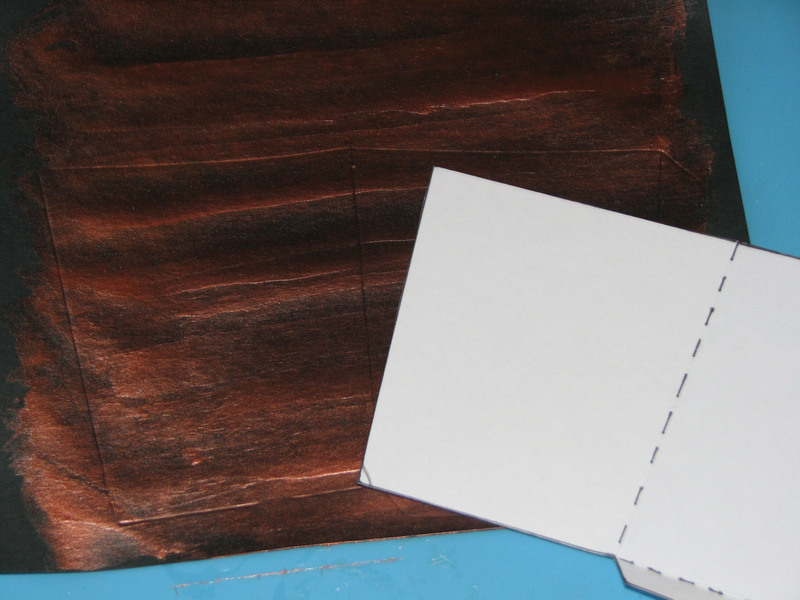 Position a gift card on the bottom of the card and make diagonal marks in each corner to determine where to make slits in the card to temporarily hold the gift card. 18. 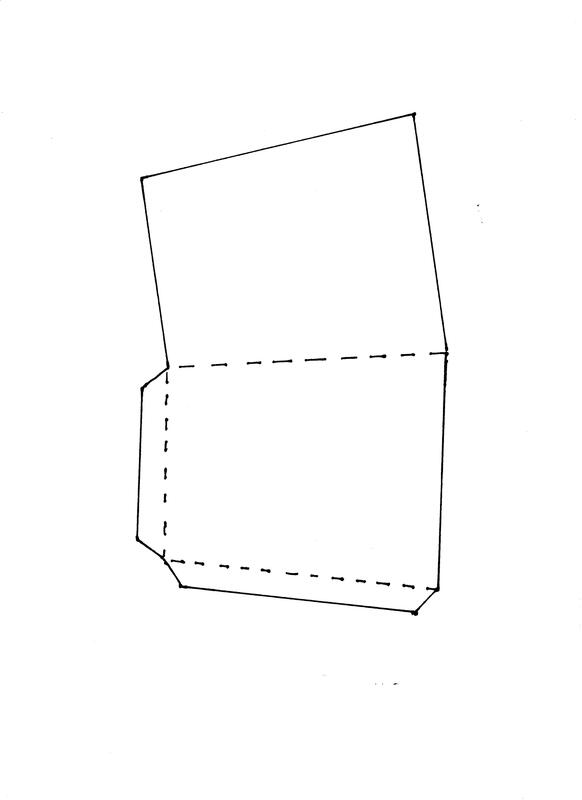 Use a straight edge to make a cut connecting the marks for each corner. 19. 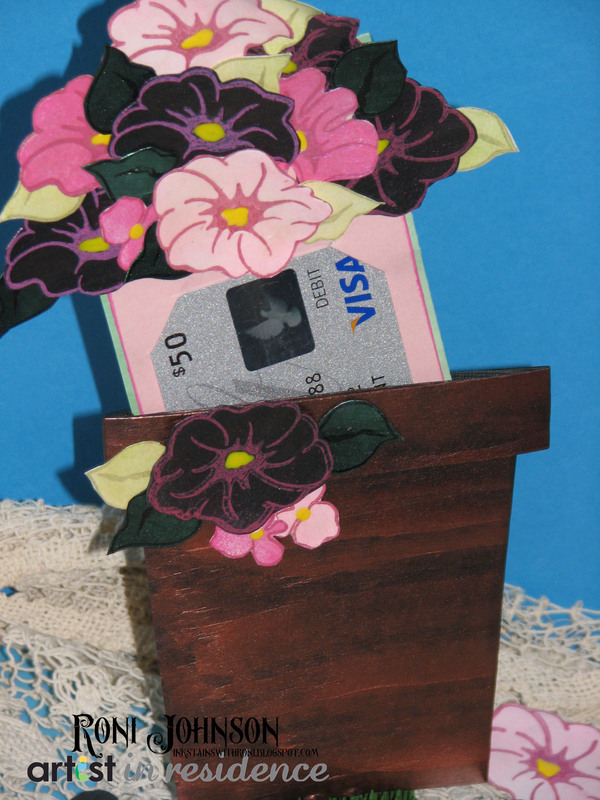 Insert the gift card and slide the flower card into the flower pot. If desired affix extra flowers and leaves to the front of the flower pot.